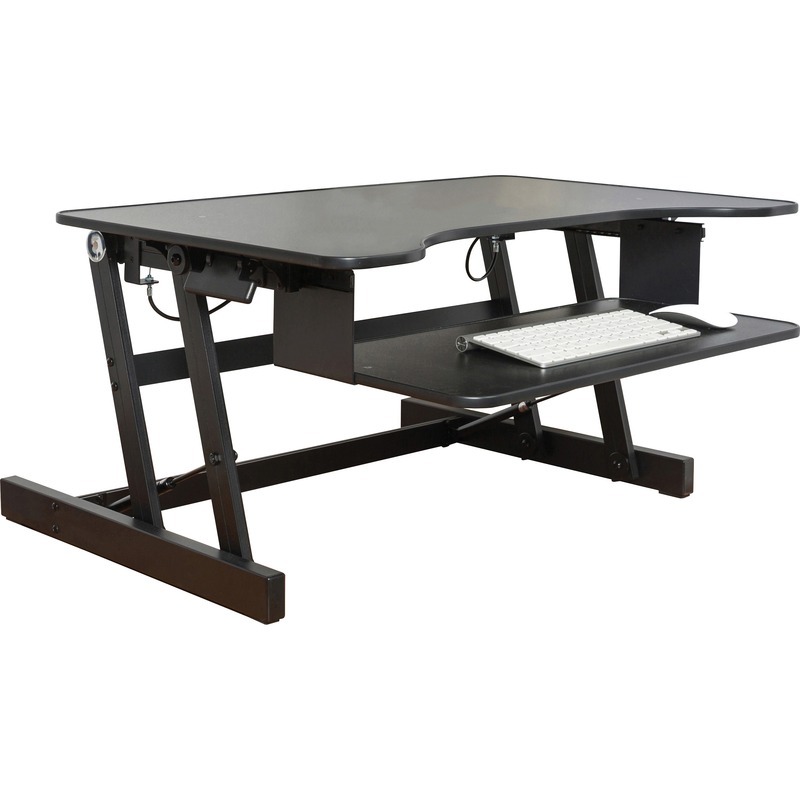 Adjustable desk riser offers a healthy addition to any desk that allows you to sit or stand while you work. The large, 31" x 20" worksurface accommodates two monitors or a monitor and a laptop. Ergonomic keyboard tray moves up and down with the desk and moves out/in for the most comfortable position. Five height adjustments (up to over 16" above your desk) allow a comfortable standing position. Gas spring will allow you to easily move the desk up and down, even with your computer equipment. Riser is fully assembled for use right out of the box.